Dealing with freezer problems is not just annoying, but also a danger to your health. If you don’t notice the problem in time, you might need to toss food away, risk your health, clean a flooded floor and waste energy. That’s why you should let our professionals from Appliance Repair Calgary, AB, check your home freezer once in a while. We are experts in home freezers and up to date knowledgeable of the latest residential models in Alberta. If you need our professional services, you can rest assured that one of our technicians will soon help you discover the reasons for the appliance not functioning at its best. We provide troubleshooting and try to fix freezers in just one visit. You’d be happy to know that our local freezer repair Calgary team can help you in a timely manner. There is nothing more critical than fixing the freezer in due time and before frosted food melts down. 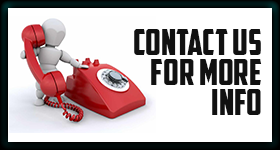 We help you avoid such issues by responding fast to your calls. Rest assured that every technician in our Calgary team is prepared to deal and cope with all freezer problems, and equipped to carry out the task. Whether there is need to make certain replacements or just fix the appliance, our professionals will do what’s required in order to ensure that everything works alright. From freezers to icemakers and refrigerators, all appliances can be thoroughly checked and repaired by our company. Specific problems often have specified solutions. It’s clear that a broken gasket will be replaced, but problems are not always so obvious. This is why our freezer and fridge repair technicians always check thoroughly before they start fixing the malfunctioning appliance. What’s vital is that we all have the qualifications and professionalism to find the reasons for a problem and repair it. We are focused, properly equipped, ready to help you in due time, and experienced in all fridge repairs. 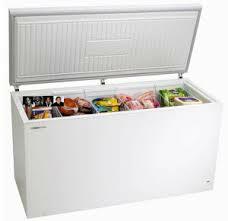 Do trust freezer services to our company!